Oh by the way…….only the so-called big” nutrients, or macronutrients, such as proteins, fats and carbohydrates will be covered here rather than the “little” nutrients, or micronutrients, such as vitamins and minerals. Everyone had heard of Carbs, but do you know exactly what they are! As you can see, there are many different types of carbs and they can be found in a wide variety of different food groups. (There are generally considered to be 5 food groups: Fruits, Vegetables, Dairy, Grains and Proteins). So, now you know what Carbs are, what is it exactly that they do for you? You may even have heard a lot about Good and Bad carbs — Good” carbs are basically foods that have more fiber and complex carbohydrates – (complex carbohydrates are carbs that take longer to break down into glucose – such as vegetables, whole grains and fruits) – whereas “Bad” carbs are foods with refined carbohydrates (i.e., meaning they’re made from white flour and added sugars). Opinion on how much we should eat varies greatly when it comes to carbs! Long distance runners love carbohydrates as it gives them the energy to run, the Atkins diets tells us to eat anything BUT carbs to lose weight, and likewise bodybuilders believe Carbs lead to fat build up. However, assuming you’re not running a marathon or trying to win Mr and Ms Universe, then most expert nutritionists recommend for your body to function “optimally’ around 50 – 60% of your diet should come from Carbs (or around 130 grams per day). This is because it’s the minimum amount of sugar used by the brain on a daily basis! Aside from water – please see the interesting artcle on the Power of Water, the elixir of Life https://mindandoneness.com/2013/10/17/the-power-of-waterthe-elixir-of-life-itself/ – Protein is the most important nutrient for our bodies. Proteins help build (and rebuild) muscle tissues and are made up of amino acids – these are the building blocks and catalysts that keep our bodies running – and importantly some amino acids can’t be made by our bodies, these are called essential amino acids, and therefore it is essential our diet provides these!! The function of these amino acids is varied and large, such as valine promotes muscle growth, Leucine promotes the healing of bones and repair of muscle tissue, Threonine aids the formation of tooth enamel. At this time, it’s not important to know all the functions, but please feel free to email me if you’d like to learn more! Overall though, it’s recommended that 10–35% of your daily calories come from protein, which is usually about 45 – 60 grams of protein for an adult. Or about 2 cups of milk, a large piece of animal based food, such as fish or meat, some eggs and some yoghurt!!! Now, Fats often get a bad name – and understandably so – and many people correctly reduce their fat intake to lose body mass — since fat has more than twice the calories per gram than carbohydrates and proteins. However, there are healthy fats and unhealthy ones!! The four main fats are saturated fats, polyunsaturated fats, monounsaturated fats and trans fats. Indeed its been concluded that trans fats are so unhealthy that the USA is banning them. But, how can you tell the difference between the unhealthy and healthy fats – well, in general, the more healthy the fat, namely the monounsaturated and polyunsaturated fats, are usually liquid (like vegetable oil) whereas the unhealthy fats (the saturated and trans fats) are solid, such as butter, at room temperature. So, please try to eat the right ones! In terms of volume, it usually recommended we get around a quarter of our daily calories from Fat. I hope this has given you a basic understanding of the “big’ nutrients, and that you’ve at least gained some additional clarity. If not, then future blogs will hopefully serve you better as we’ll delve into nutition in more detail, but for now I just wanted to provide some basic info for terms you likely have heard many times before but not always wanted to admit you never really understood fully! Please also don’t forget that you also need vitamins and minerals! Both vitamins and minerals have an array of uses in our bodies, which we’ll discuss in a future post. 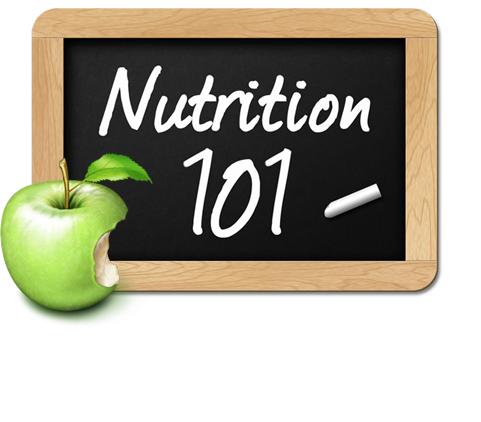 But all nutrients (whether big or small) provide at least one of the following functions: 1. Provide energy, 2. Build and repair tissues and/or 3. Regulate metabolic processes. One problem however is we don’t always do a good job of ensuring we get the right amount, especially since the average ‘American diet’ often consists largely of nutritionally empty and processed foods, filled with sugar and unhealthy fats, that causes cells to degenerate and can in certain circumstance lead to illness and disease. If instead of eating “empty’ nutrition, we fuel ourselves with the “right” nutrients we can aid our immune systems to function better – literally ‘self-healing’!! So overall, please simply remember that you will improve your diet (and therefore the way you look, the way you feel, and the way you act) by ensuring you eat the right balance of nutrients and by becoming a little more aware of the roles specific nutrients play in maintaining a healthy diet, and more importantly remember since we are basically ‘Energy’ and “Energetic beings” and attract similar energy based on how we are vibrating, by improving your ‘good energy’ by eating better you will be aided in better attracting more of what you WANT into your life.